From ditsy daisies to romantic roses, floral curtains are a great way to set the mood in your interior. 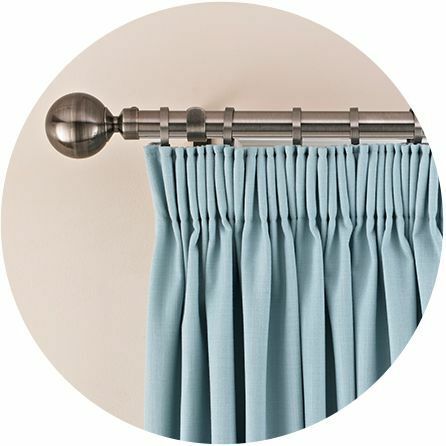 From graphic illustrations to painterly watercolour prints, our curtains range includes a wide selection of styles to suit any décor. Request an in-home appointment to browse our collection up close. For a nostalgic, country feel choose classic English blooms in rose, sage and lilac colourways, or pick out vintage prints in subtle, fade-out hues. Large rooms are the perfect backdrop for bold patterns and colours, while small spaces suit a more delicate design. 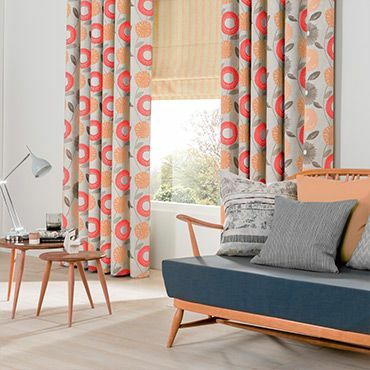 Graphic leaf-trails and abstract floral motifs in shades of warm coral, cool grey or sunshine yellow are perfect for contemporary interiors. Our expert advisors are on-hand to offer practical advice and style tips to help you choose the perfect floral curtains for your windows or doors. And if you’re not sure how a particular design will look at your window, we can show you, using our clever visualisation tool. 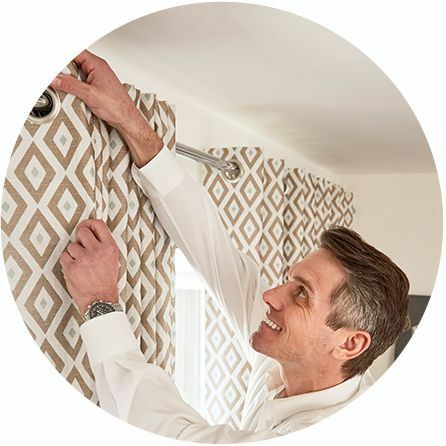 During your appointment your advisor will also measure your windows and return to fit your beautiful made-to-measure floral curtains for a fabulous finish.